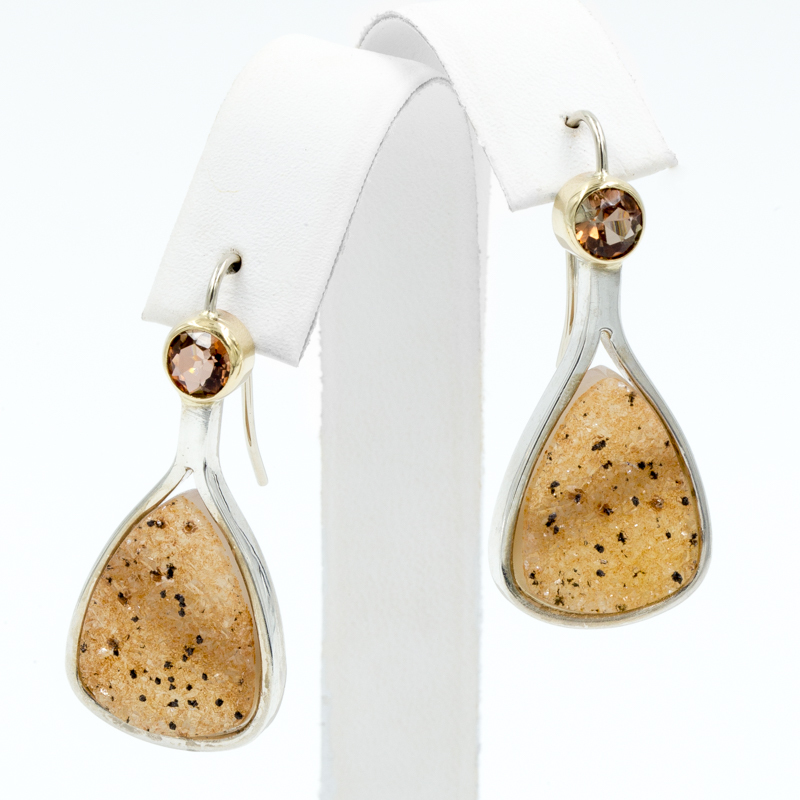 A QE original design: Druzy Quartz pendant style earrings with wires, in 14KY and sterling silver. 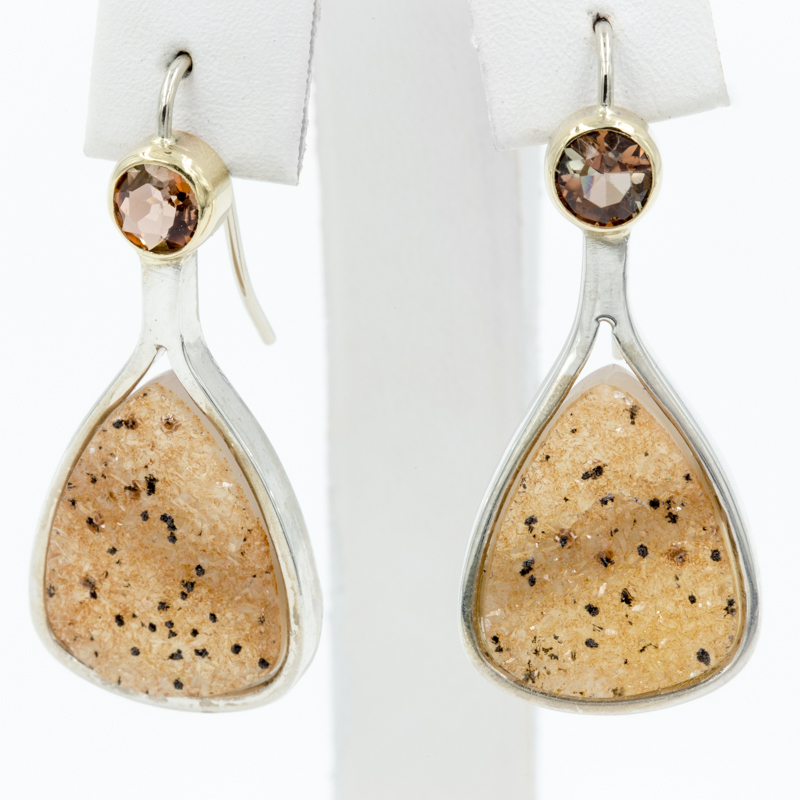 Druzy quartz set in sterling silver with faceted andalucite gem accents set in 14KY. Size: approx. 34.5mm long x 17mm wide at bottom.